Directors often get all the credit for successful movies. It’s a problematic notion that often leads to the critical worship of messianic auteurs famous for their meticulous control. However, an army of dedicated craftspeople expend their blood, sweat and tears to bring these visions to life, often going unrecognized in the oral histories of filmmaking. 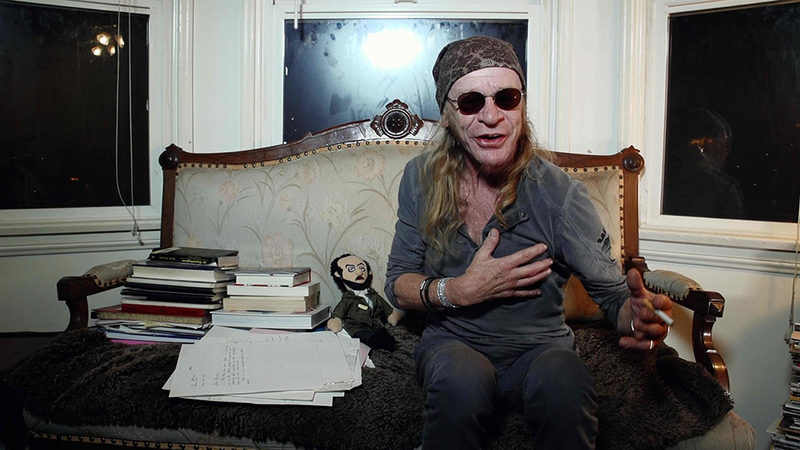 Leon Vitali is one such craftsman, and Tony Zierra’s new documentary, “Filmworker,” gives Vitali a medium through which to tell his story as the right-hand man to one of cinema’s most beloved and notorious figures: Stanley Kubrick. According to the film, Vitali, a famous television and stage actor trained in the thespian tradition, first met Kubrick when he was cast as Lord Bullington in Kubrick’s 1975 film “Barry Lyndon.” On the film’s set, Vitali impressed Kubrick with his active interest in the technical side of filmmaking. Over the next few years, Vitali took on a few more acting jobs while beefing up his behind-the-scenes skills, eventually landing a position as Kubrick’s assistant on “The Shining,” where he worked closely with casting and coaching the film’s child actors. Through these experiences, Vitali and Kubrick developed a loyal working relationship, with Vitali eventually working day and night with the director on his later films and the distribution of his earlier works. Zierra puts Vitali, a relatively unknown figure, front-and-center in “Filmworker.” Quite literally, Vitali is framed dead center in the lengthy interviews that make up the majority of the film, staring directly into the camera as his crackled, graveley voice guides the viewer through a tour of Kubrick’s controversially grueling creative process. The acclaimed director’s process has been well-documented by historians and the massive cult of Kubrick fans alike, and he is arguably the poster child for the meticulous auteur archetype. As Vitali discusses, Kubrick exercised an obsessive control over his films, from the pre-production phase to their distribution and restoration, often demanding strict guidelines for their exhibition. Zierra, thankfully, isn’t afraid to show the dark side of this process, including interviews with Vitali’s children that highlight how Kubrick’s mix of charm and temper often reduced their father to tatters. Even with this subject-central form, “Filmworker” is a relatively by-the-numbers biographical documentary, with a heavy emphasis on talking heads and archival footage. The film’s structure ebbs and flows with Vitali’s chronological discussions of his life, interspersed with other interviews that add context to his tales. Though these interviews with Vitali’s colleagues occasionally distract from Zierra’s laser focus on the man himself, they often provide needed perspective on the experiences Vitali describes. Occasional animations of Vitali’s stories are the most distracting formal device, often adding an unnecessary whimsy to the film’s otherwise somber tone. Archival footage is edited in smoothly, and the footage itself is remarkable in its insight. Still, the most fascinating part of the film is Vitali’s own face — one weathered by years of sleepless nights, stress and tireless dedication to the man he worked with for the majority of his life and borderline worshipped. This worship, from Vitali himself and the legions of film lovers that Kubrick inspired, is central to the film’s slipperiness, one that achieves a tricky balancing act between critique and appreciation. Functioning as both a cautionary tale and underdog story, “Filmworker” revolts as well as inspires. Zierra never appears to take a firm stance, as he allows his subjects to do all of the talking. Vitali is an infectiously positive figure, one who survived working with Kubrick due to his sheer love of making movies — even though his colleagues may point out how damaging it was to his health and relationships. Vitali’s passion radiates throughout the picture and his life makes us question why exactly we value despotic genius as much as we do. As unexceptional as it may be, “Filmworker” is a refreshingly simple spin on the film history subgenre of documentary filmmaking. Elevating what could have been nothing more than a glorified DVD extra in the wrong hands, Zierra probes important questions into the nature of auteurist filmmaking, forcing us to contend with the ripple effects it leaves behind. Most importantly, his film sheds light on the collaboration that is crucial to cinema, even in the case of someone as singular as Kubrick, and the myriad passionate people that make it all possible — people who achieve none of the glory. Their stories are just as valuable as all of the Kubricks of the world, and Vitali’s story is the heart of “Filmworker.” It’s more than just an oral history or document. Fittingly, Vitali was given a platform to tell his story in the form of a film — the very medium to which he selflessly dedicated his life — and I can’t think of a better means to pay our respects.